The result: more than one-third of the patients were misclassified — as either having or not having dementia — by at least one of the rapid tests in question. “Dementia can be difficult to accurately detect, particularly in a primary care setting,” said study lead author Janice Ranson. But the rapid tests “are important screening tools to help clinicians decide who is likely to benefit from further testing for dementia,” she acknowledged. “Our results suggest that some of the misclassification is due to test biases, such as a patient’s age, ethnicity or education level,” she added. Ranson is a doctoral researcher in clinical epidemiology at the University of Exeter Medical School in England. She and her colleagues reported their findings in the Nov. 28 online issue of the journal Neurology: Clinical Practice. 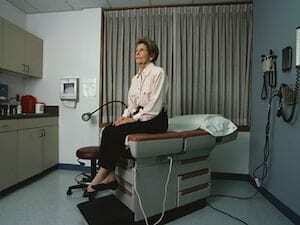 Ranson said quick tests are “routinely used” by primary care doctors as an initial screening. And if signs of dementia are found, a “full dementia investigation” typically ensues. The study included just over 800 patients in the United States who underwent the tests. The participants ranged in age from 70 to 110, with an average age of 82. The patients initially underwent comprehensive three- to four-hour dementia assessments. These involved a neurological exam, blood pressure readings, a medication review, DNA sampling, depression screening and lifestyle/family history interviews. These comprehensive assessments revealed that about one-third of the patients had dementia. All of the participants subsequently underwent each of the three quick dementia tests. But when the research team compared the quick test results with the in-depth results, they found that 36 percent of the patients were mistakenly diagnosed by at least one of the quick tests. Interestingly, the researchers found that individually, each quick test actually had a misdiagnosis rate of 14 to 21 percent, and only 2 percent of the patients were misdiagnosed by all three tests. Why? Each test appeared to have a different problematic bias, the study authors said. For example, while one test appeared to underdiagnose dementia in highly educated patients, others appeared to miss the mark based on patient age, race or nursing home status. Still, she said there’s definitely room for improvement. Keith Fargo is director of scientific programs and outreach with the Alzheimer’s Association, in Chicago. “Diagnosing Alzheimer’s and other forms of dementia is an incredibly complex process, and not something that can be done on the quick,” he said. “Simple cognitive tests can be a helpful first step toward diagnosis, but as the study points out, are imperfect,” Fargo explained. To learn more about dementia and dementia diagnosis, visit the Alzheimer’s Association.